There's a fairly good-sized piece of furniture in my living room that, most of the time, I forget is there. It was something I wanted very badly about ten years ago and I was so happy when someone was looking to re-home their piano. I thought for SURE I'd pick up exactly where I left off - I must have had at least 6-7 years of piano lessons, maybe more. I even took lessons as an adult. And I couldn't wait to start playing again. I remember excitedly buying a number of music books - I picked them out very carefully. A book of my favorite hymns, a book of contemporary praise songs, Beethoven piano pieces, the music from Le Miserables, a book of Beatle's songs, and a book called, "I Used to Play the Piano." Yep - I was going to start playing again and maybe I'd somehow become "good" at it this time! So I'm making this confession, but I strongly suspect it's not just mine. I suspect it's your confession too. We start things with such good intentions and such great hope, but we fizzle out. We're now a few weeks into Lent. How are you doing with the commitment you made to your Lenten devotions and prayers? How are you making out with your decision to make a new start this Lent when it comes to your relationship with God? Are you just as committed and just as faithful as you were on Ash Wednesday, or have you started to slack off? Sometimes all we need is a little nudge to remind us of our commitments. Which is probably what I needed a long time ago - a nudge to remind me to practice the piano more faithfully. So allow me be your nudge right now. 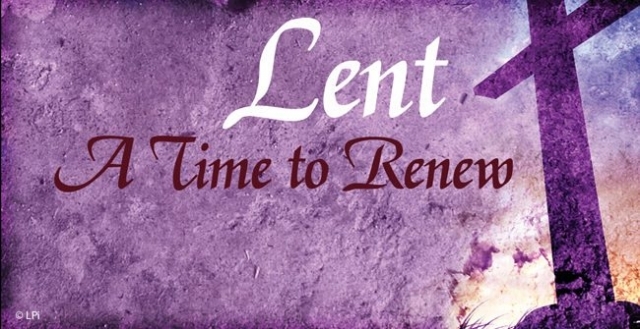 You still have several more weeks to make right on your Lenten promises. You can still renew and revive your faith in preparation for Holy Week and Easter. You can still put a smile on God's face!